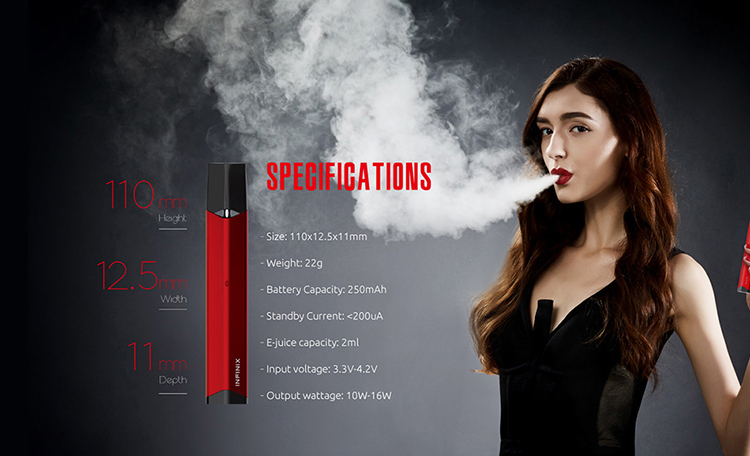 SMOK Infinix Ultra Portable System is the All-In-One vape kit with the sleek appearance and the mini body. Featuring the built-in 250mAh, 2.0ml replacement pod and air switch, the SMOK Infinix vape kit will bring the dense clouds and more convenience. 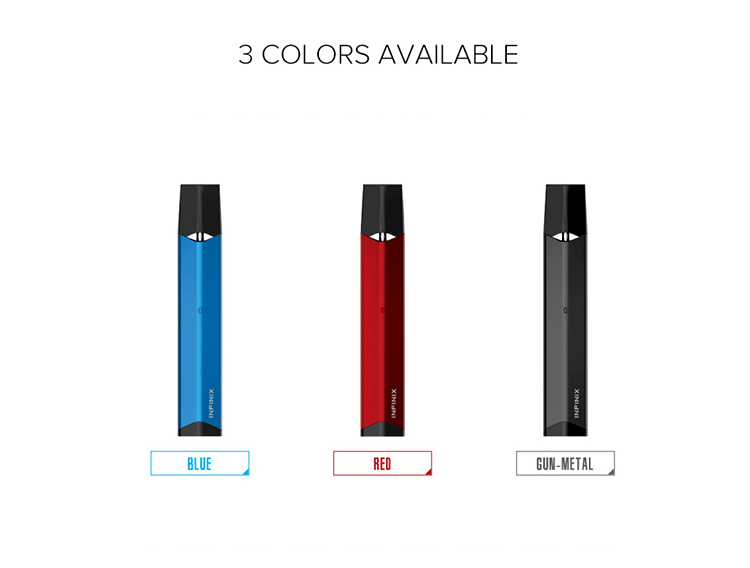 SMOK Infinix Ultra Portable System is the All-In-One vape kit with the sleek appearance and the mini body. Featuring the built-in 250mAh, 2.0ml replacement pod and air switch, the SMOK Infinix vape kit will bring the dense clouds and more convenience. You can easy to carry it anywhere. I really wanted to like the Infinix... the flavour is ok, the form factor is ok, vapour production is ok and its nice and light. But, it spits quite a bit and at least once every 10 puffs I end up with juice in my mouth with no warning. I find myself picking up other mods more often.